They come from different countries but have similar experience; they are all tortured by cancer. 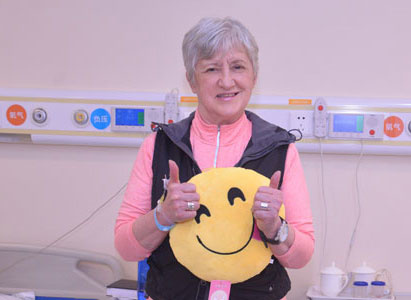 Fortunately, with effective treatment and carful nursing in St. Stamford Modern Cancer Hospital Guangzhou, they fight against cancer bravely and now regain their confidence of life. Here, they share their anti-cancer experiences.